Team manager roles for eventing and showjumping in Ireland are to be advertised. 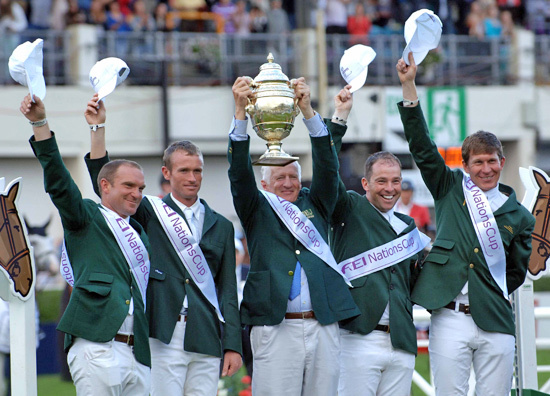 Horse Sport Ireland’s chairman Joe Walsh said that an open recruitment process would be held in “the interest of transparency and fairness”. Robert Splaine has been Show Jumping Team Manager since 2005 while Ginny Elliot has been Eventing High Performance Manager since 2008. Both contracts expire on December 31, 2012. The decision to advertise the roles was made after a Board meeting on November 1 in Naas. “Show Jumping Manager Robert Splaine and Eventing Manager Ginny Elliot have both achieved excellent results for Irish equestrian sport. However, in the interest of transparency and fairness the Board is of the view that an open recruitment competition should be held for these important positions,” Walsh said. Advertisements for the positions will be placed shortly.